Standing on a rock is a natural posture for Francesco Sauro. He seems to feel more comfortable balancing himself on top of a stone than on the ground. From this vantage point he can contemplate a landscape, scrutinise an underground passage or oversee how people behave during a field trip. The experienced explorer and expedition leader is better known as Cesco. Over 30 cave expeditions around the world leave few remote places he has not been to. 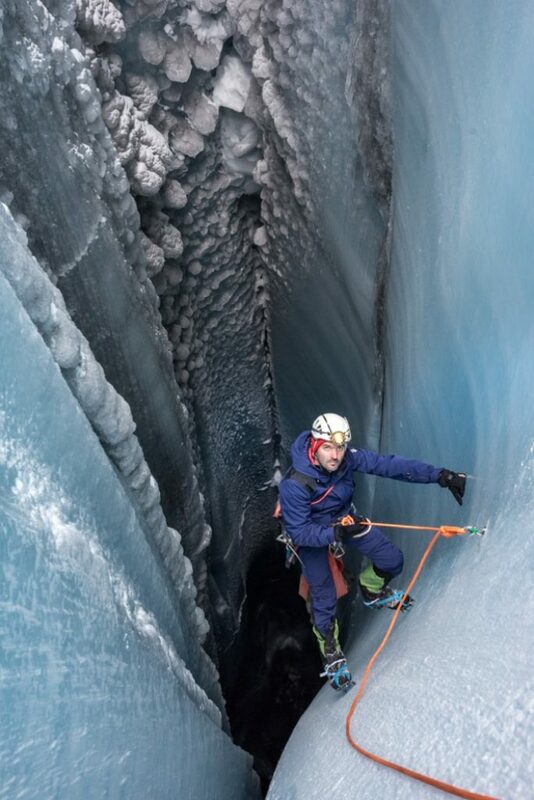 His last challenge saw him explore the ice caves of Greenland. His academic title says he is a Professor of Planetary Geology in the University of Bologna, Italy. Both in the classroom and in the field, to him the beauty of any research lies on getting the different pieces of a puzzle together. “It is the exploration process that excites me, that journey of discovery. Curiosity is in our DNA, and pushes us to explore farther. That is why humankind is heading into space,” he says. Lately he misses having time to write in his native language, Italian, and putting stories on paper. It was his book The Abyss that brought him in contact with the European Space Agency. “I found Cesco’s book and I couldn’t put it down. His narrative took me into the depths with the explorers of the past. It captured the quintessence of exploration, of teamwork, of endurance,” says Loredana Bessone, ESA responsible for Human Behaviour and Performance training. When she met Cesco by chance in the university canteen as a PhD student, she immediately offered him a job. “He is a jewel: quiet, competent and slightly mad. Cesco never stops coming up with new material and technology to test,” adds Loredana. In 2012 he took part as instructor and technical director to CAVES, a course for training astronauts in difficult cave environments and preparing them for space missions. 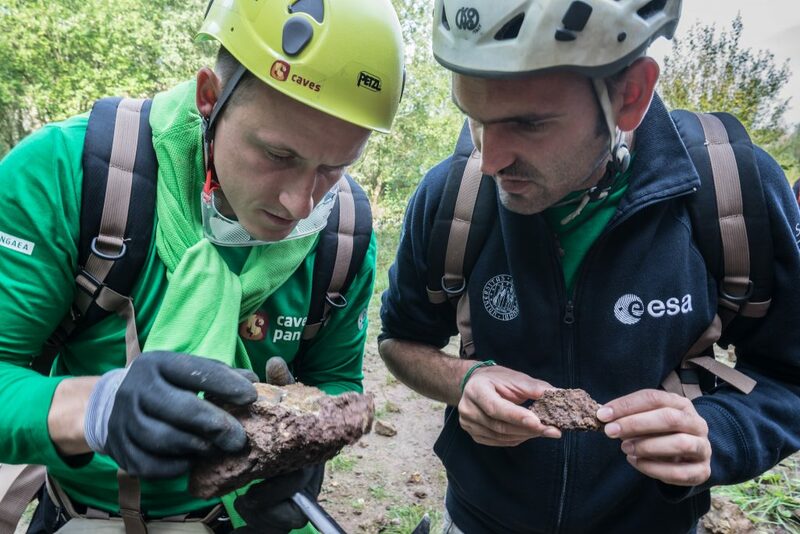 Loredana and Cesco realised that astronauts did not have enough geological knowledge to run scientific experiments. “If you want to make things real, you have to understand what the scientists want,” he says. Cesco is now course director of Pangaea and Pangaea-X. When teaching, Cesco has an exploration approach. The learning curve goes from basic theory to how to recognise types of rocks and understand its context. He considers astronauts interpreters of exploration, rather than mere operators executing a plan. “We leave the astronauts free to explore with enough knowledge. We give them all the elements so they can find the right answer – we let them discover by themselves. And when you explore, you experience,” he explains. Astronauts find this way of learning very stimulating. 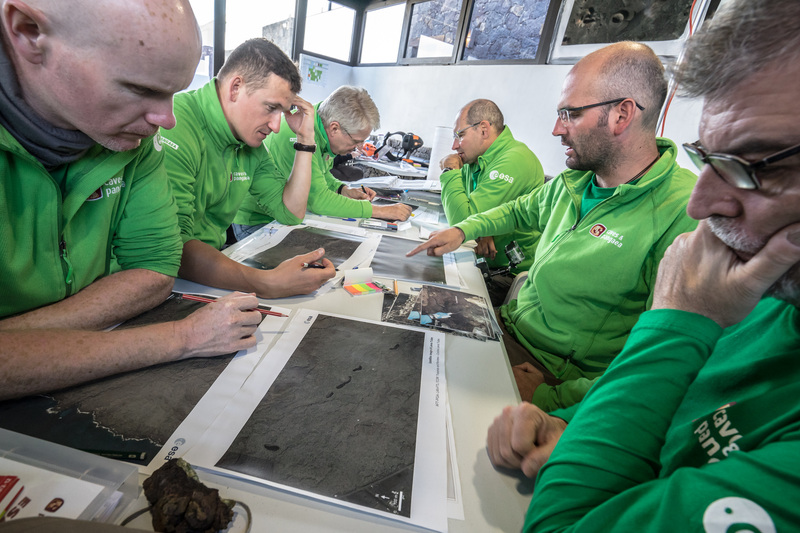 The team of instructors even keeps some information from them from time to time. “We give them a small piece of the puzzle, they start connecting dots and finally everything starts to fall into place. They can tell the story behind a rock and have a clear view of the geological processes,” he says. The Pangaea concept found some resistance at the beginning. Why would a space agency need to teach geology if the exploration of the Moon and Mars is distant in time? “Engineers working on the use of local resources from the Moon need to understand what kind of rocks are on the lunar surface; those working on 3D-printing habitats need to know what kind of soil astronauts will find over there; developers of lunar rovers need to know how to address science targets,” he reasons. Now in its third edition, Cesco is happy to say that the exploration community now knocks at his door to take part in Pangaea. 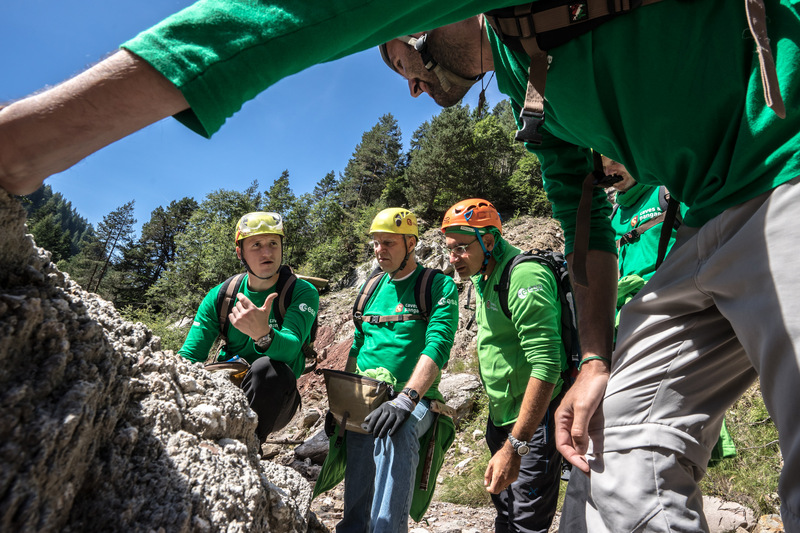 Pangaea has grown into a point of reference, not just a training. “We are a platform for everybody who wants to understand the world of planetary geology. There is nothing like this being done in the world,” says the man who, despite the challenges, can appreciate beauty in the process.